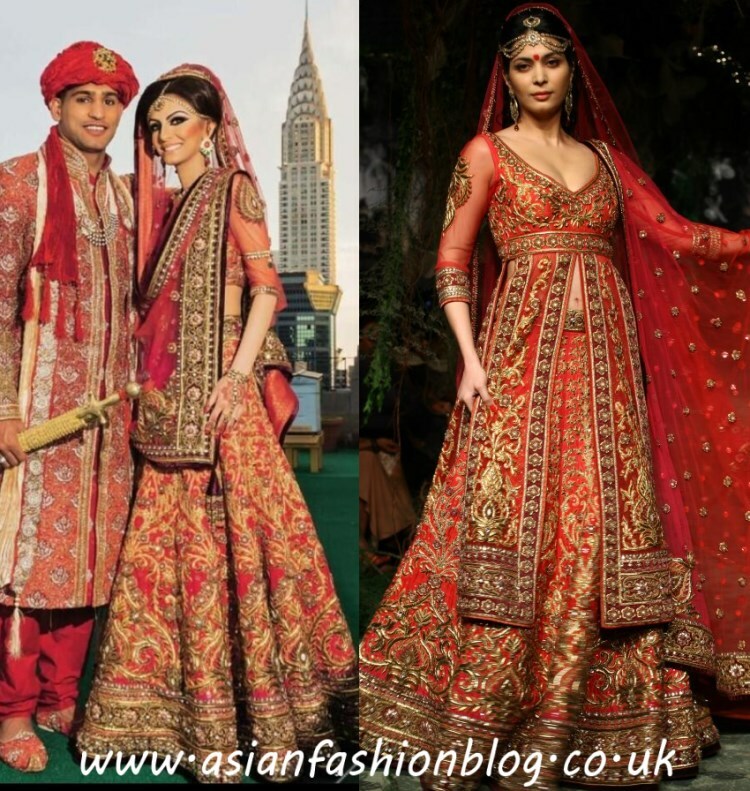 Asian Fashion Blog: Faryal Makhdoom Walima outfit - another Tarun Tahiliani creation! 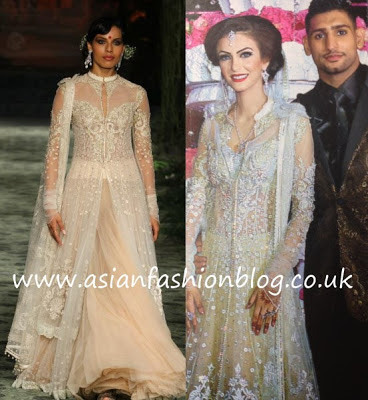 Faryal Makhdoom Walima outfit - another Tarun Tahiliani creation! Hello Magazine came out today featuring photos from Amir Khan and Faryal Makhdhoom's Walima which took place in Manchester on the 9th June. You know I'm all about the fashion and so I've studied her dress in great detail and it looks like another Tarun Tahiliani creation! What do you think? I'm convinced it's the same dress, just the silver top underneath had less of a sweetheart neckline and the model wears the collars closed whilst Faryal has hers open. Now some people have made comparisons between Faryal and Kate Middleton, whether you agree with this or not, I think one thing which is certain is that A LOT of women have been inspired by Kate Middleton's wedding dress. On the catwalk model, the styling for the top of Faryal's walima outfit does remind me of Kate's dress a little bit, although it's not so obvious to see with the way Faryal has styled it. Now that all the pictures are public, what do you think about both of her outfits? From the comments I've seen on Facebook, Twitter and in other online discussion forums, a lot of people are saying she should have chosen a Pakistani designer for at least one of her outfits to reflect her background, but I have to say I disagree. Ok, she could have used this opportunity to raise the profile of a Pakistani designer, but she still has her own personal taste and I don't think any bride should feel restricted to choosing a designer based on their nationality. Which was your favourite out of the two dresses? 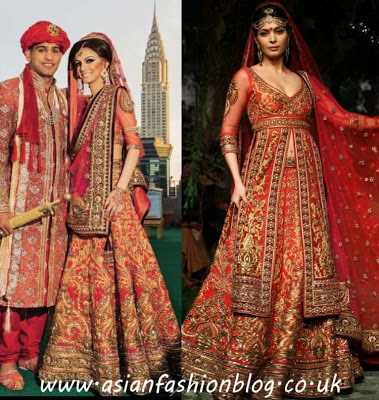 I liked her wedding outfit slightly more than her walima outfit, although had I been wearing either of these I would have styled them a little differently. Faryal's make-up for both events was by Naeem Khan and her hair on the Walima was styled by Lubna Nazir. Both of the Tarun Tahiliani outfits were featured in his Bridal Week Collection from September 2012, check out more from that collection here. I wasn't comparing how "pretty" the dress is compared to Kate Middleton's...just saying there's definitely a similarity in the style of the top with the sheer sleeves and sweetheart neckline. At least Kate is allowed to show her flesh but is less revealing!